I try and get a green smoothie in everyday. Why? Phytonutrients, phytonutrients, phytonutrients. These babies are the nutrients found in plants that protect the plant from environmental damage such as radiation, toxins, pests and pollution. They help humans equally by reducing blood pressure, improving vision, decreasing inflammation, reducing cholesterol and preventing cell damage. They are just all good — with the raw veggies and fruits you are also getting the benefit of enzymes that are so important to replenish as we age. Because you only get a certain amount of enzymes for life. So green smoothies – once a day. Just do it. Add 2-3 large handfuls (about 2-3 cups) of leafy greens to the blender. Spinach has a mild flavor so start there if you’re a newbie. Kale, collard greens, chard, romaine and green leafy herbs like cilantro, parsley and mint are all great. There are hundreds of types of greens out there–try any of them and mix things up to find flavor combinations you like. I usually end up using what was a good price at the store that week and what I have left in the refrigerator. Cucumbers are also a fantastic green addition to your smoothie for both their high nutrition content and high water content (the green peel is excellent for you, but peel it if it’s not organic). Remember to rotate those greens so you can get a variety of micronutrients. I also don’t like to always have my greens raw as daily smoothies made of raw greens contain oxalate acid (see notes below). * Steaming your greens and freezing them in ice cube trays is a way around this. I plant a garden each year and add in different herbs and greens based on what I have. I have been having a lot of oregano and parsley lately in my smoothies with hot sauce, pink salt and avocado. Makes for a delicious salty pre-dinner cocktail. If you prefer to add some fruit Add about a cup of fruit next for extra antioxidants, texture and flavor, a green smoothie can end up tasting like a blended salad. Greens on their own are wonderful and do taste delicious, adding the fruit just sweetens it up, adds more flavor and packs in more nutrition. Berries are low in sugar and high in flavor, while 1/2 a banana or 1/4 of an avocado will give your smoothie a super creamy texture. I also find that 1/2 of a banana really sweetens the entire drink. A half teaspoon of citrus zest will add amazing flavor, and a squeeze of citrus juice will amp up the immune boosting properties of your smoothie. 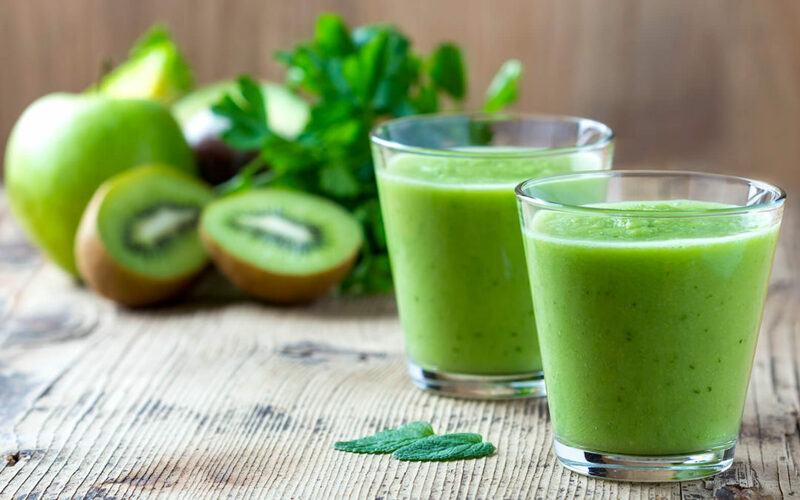 Keep your green smoothie to at least double, preferably triple, greens to fruit ratio to keep the sugar content of your drink low and reasonable (no blood sugar spikes here!). I also use borage oil (great for skin) ,coconut oil (melted), MCT oil or Brain Octane oil. These types of fats will really add to the satiety value of your smoothie. 1). Gelatin or Collagen – provides glucosamine to help deal with inflammation and soothe the gut lining. 2). L-Glutamine –(Jarrow brand in powder or tablet – herb.com) the cells of the small intestine depend on glutamine as their main source of fuel, both for maintenance and repair of damage. 3). Probiotics or Yogurt – needed for cell regeneration of the gut lining. 4). Fats – healthy fats are imperative to overall health, they help us to assimilate our nutrients and line all our cells. If we want to have healthy gut cells we must eat ample good fats. 5). Colostrum (Jarrow brand on iherb.com good one)– Colostrum is another super-gut-healing food. It is rich in secretory IgA and other immunoglobulins to replace deficient gut immunity. It is best paired with a probiotic. If you are dairy sensitive – try small amounts of colostrum (capsule form, powder or fresh) taken with a probiotic to see if it helps you tolerate it better. Colostrum has a tiny amount of lactose, but is usually tolerated quite well in those with lactose intolerance. If you are casein intolerant but aren’t clear as to which type of casein, I suggest trying a colostrum from goat’s and see how you do. Add 1/2 – 1 cup purified water, coconut milk or unsweetened nut milk to help the blender work it’s magic and turn your smoothie into a drinkable texture. Add more purified water as needed to blend. If you need a little sweetness to make it palatable, try adding a tablespoon of organic raw honey (keep it raw to keep the enzymes and nutrients in tact) or a few organic (pitted) dates. Just be mindful of how much sugar you’re adding. 6-10 drops of liquid stevia will also sweeten it up a bit without adding any extra sugar. Xylitol is sweetener made of birch that works well in smoothies as well. Also feel free to add in any more veggies if you’re feeling adventurous — I think it best to think of Green Smoothies as a savoury food. Add all ingredients to your blender and blend away. You may need to pause and push the ingredients down a few times to help your blender along. Wash all produce and use organic ingredients whenever possible. I like to soak my produce in a big bowl of water and apple cider vinegar to get reduce residues. Blend for about 30 seconds at a time until the desired texture is achieved. Always be careful to not let the speed of the blender heat the smoothie-heat kills the enzymes and some of the nutrients. Warm smoothies rarely taste good. Frozen fruit or a few ice cubes go a long way to making your smoothie a tasty treat. Your green drink might turn out purple or another wild color from the other ingredients; it doesn’t actually have to be the color green to be a green drink. Run the blender under hot water right after you pour your smoothie into a glass and let it sit while you drink. Then just rinse it and let it air dry for easy/quick cleanup. I use a Vitamix blender. The Vitamix is big and allows me to make a one litre smoothie (drink it all day!). Any blender is fine, and I suggest investing in a high-speed, good quality one that had a warranty, is easy to clean, and has a good amount of power to blend your smoothies. 1). Oxalates can bind to minerals in the gut and prevent some of them from being absorbed, particularly when combined with fiber. 2). Oxalate is an organic acid found in plants, but can also be synthesized by the body. It binds minerals, and has been linked to kidney stones and other health problems. 3). High-oxalate foods may increase the risk of kidney stones in susceptible people, and recommendations for patients are based on urinary levels. 4). Most healthy people can consume oxalate-rich foods without problems, but those with altered gut function may need to limit their intake. 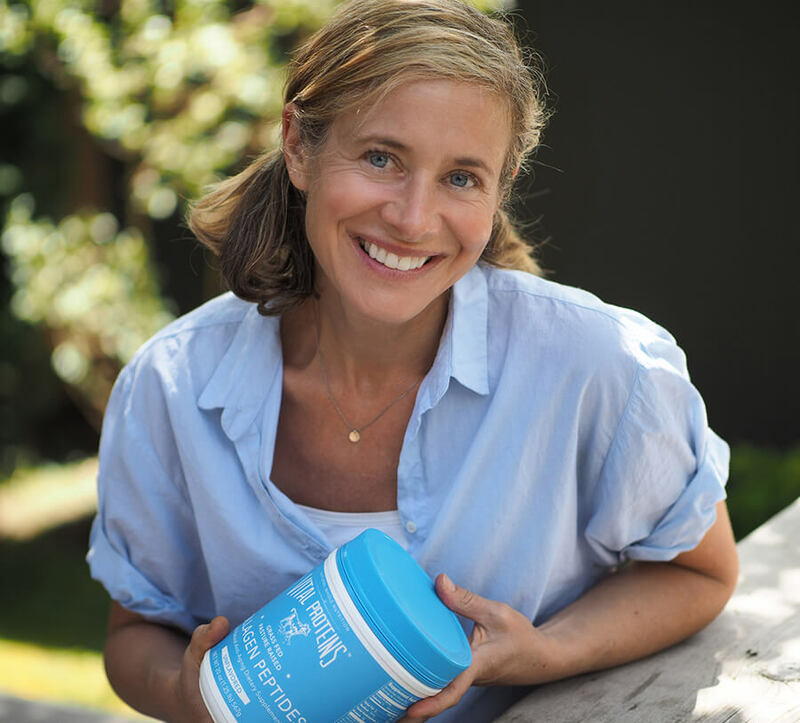 Jill is a Vancouver-based mom, health researcher (MJ) and Holistic Nutritionist. Her passion is optimizing health and aging thru diet, supplements and lifestyle choices. Her goal is to share her knowledge and help others. Jill works with groups and on a one to one basis with clients. Hi Jill! Just found your site today! Looks great!! Congratulations. Thank you for the reminders and tips. Very inspiring! Congratulations on your new site, Jill! You inspired me to make a green smoothie this morning, using all of the fantastic information in this post (I’ll be sharing this post to my Facebook page later today). I used kale, unsweetened almond milk, strawberries, blueberries and grated ginger. Next time I’ll add in some flax seeds, too. So good! Thanks Dara! Wonderful! Appreciate you welcoming me to the blogging community!